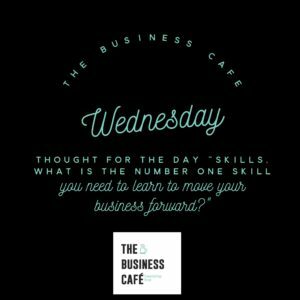 Today I woke thinking about the skills I need this year to develop myself and the business to take The Business C afe forward. Learning about yourself and learning new skills is a constant, it can be overwhelming at times. I listened to the Elon Musk video that member Jeremy Corner​ shared yesterday when Elon said “we have to solve the problems that our businesses need us to work on, not the problems we like solving”. that hits a nerve, we all love to spend time on the things we enjoy and are good at, not necessarily the things we know we have to do that will be critical to our business success. I would love to know what niggles you, or maybe excited you, that you are learning and also how are you gaining these skills? Workshops, reading, YouTube, peers?